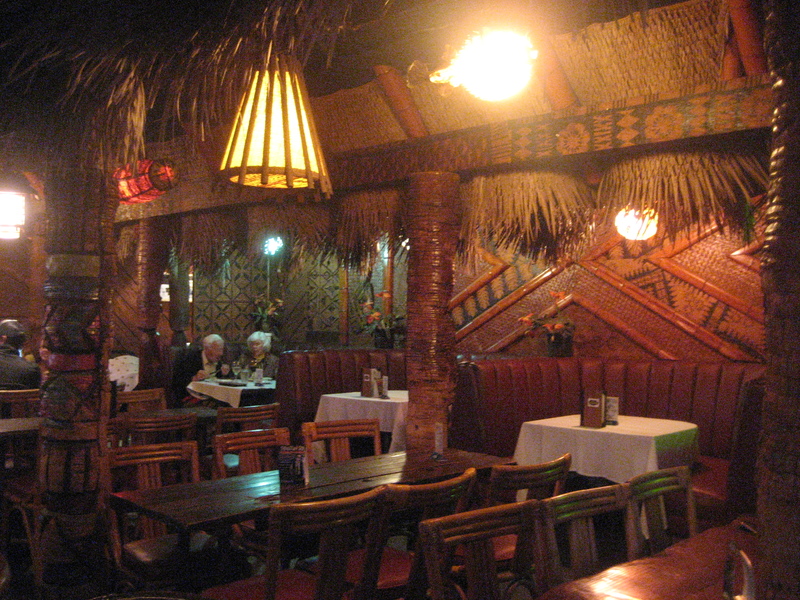 Watching the Ken Burns documentary “Prohibition” got me thinking about the Noble Experiment’s influence on tiki. Ernest Raymond Beaumont Gantt (a.k.a. 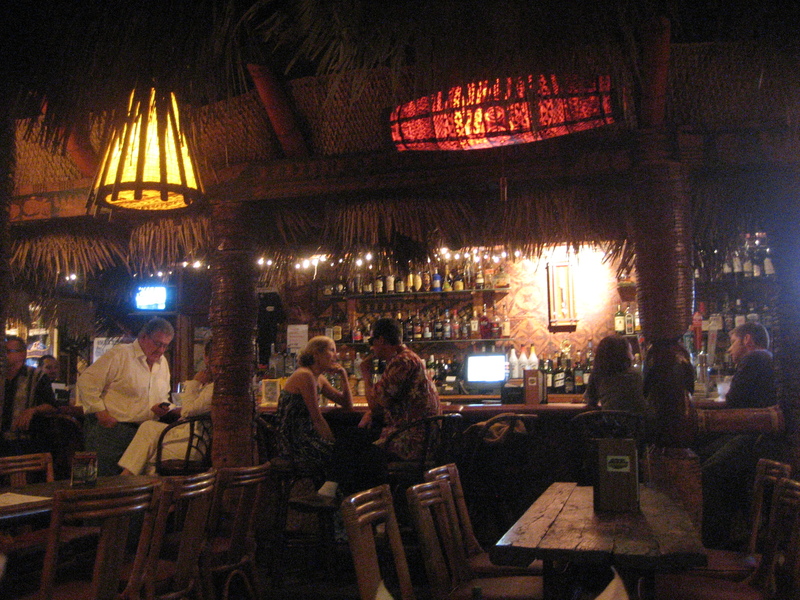 Don the Beachcomber) was a part-time bootlegger and opened the first tiki establishment as the bar business was booming after Prohibition ended. Jeff Berry’s fantastic book “Sippin’ Safari” even says one of the reasons Don made his original cocktails with rum was that it was cheap because the rumrunners had so much leftover stock. Long story short, none of the original Don the Beachcomber restaurants are still around but his name and spirit have been carried on in Huntington Beach for the last two years. 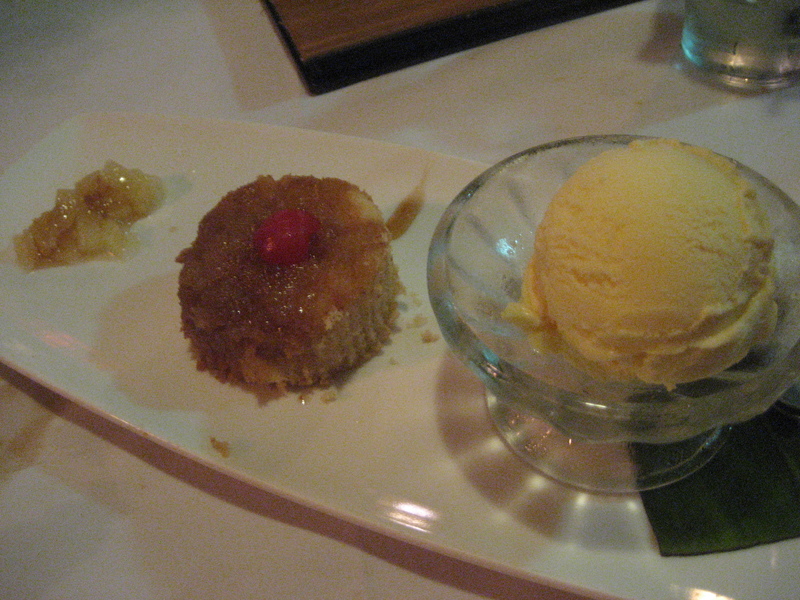 (There are also two unrelated DtB restaurants in Hawaii). This one also happens to have an awesome happy hour available in the Dagger Bar Sunday through Thursday from 4 p.m.-7 p.m. and all night on Mondays. Don’s signature drinks are $3 off ($5 off the Rum Barrel) and there’s also deals on beer and wine but why would you drink that here?! (Unless your name is Mr. Baseball.) A few of our favorites include Don’s Own Mai Tai (above), Lapu Lapu and Hurricane (one of nine cocktails they recently added to the menu). 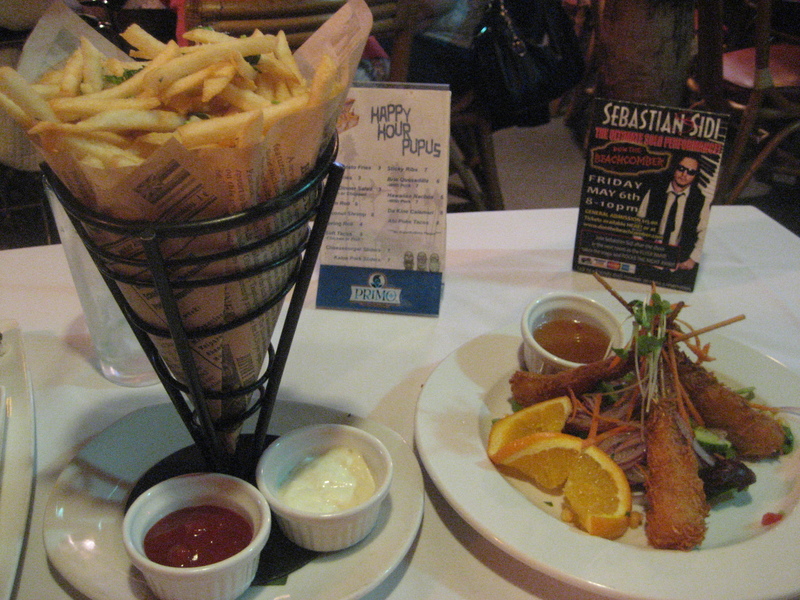 There’s also a great selection of discounted “happy hour pupus.” The garlic fries ($3) are potent—just how I like ’em—and the coconut shrimp skewers ($8) are good, too. 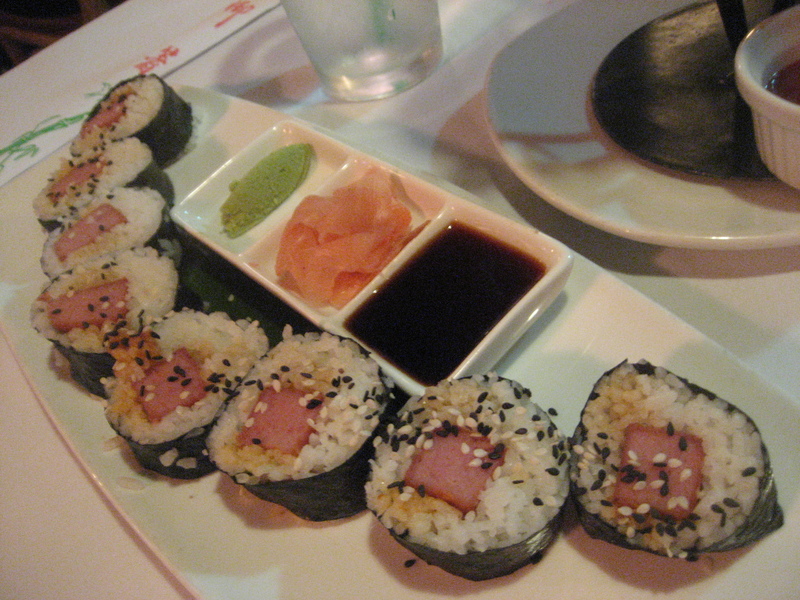 The spam roll ($5) is a fun novelty, however I don’t see it making it into our regular ordering rotation. But it does make me want to try making my own spam musubi at home. Hands down the winner of the bunch is the brie quesadilla with kalua pork ($7) topped with chipotle mayo. I think I might have to get this super flavorful dish every time now, though there are still more tempting appetizers I’ve yet to try, like the sticky ribs and ahi poke tacos. Don the Beachcomber also has several signature mugs available for purchase. 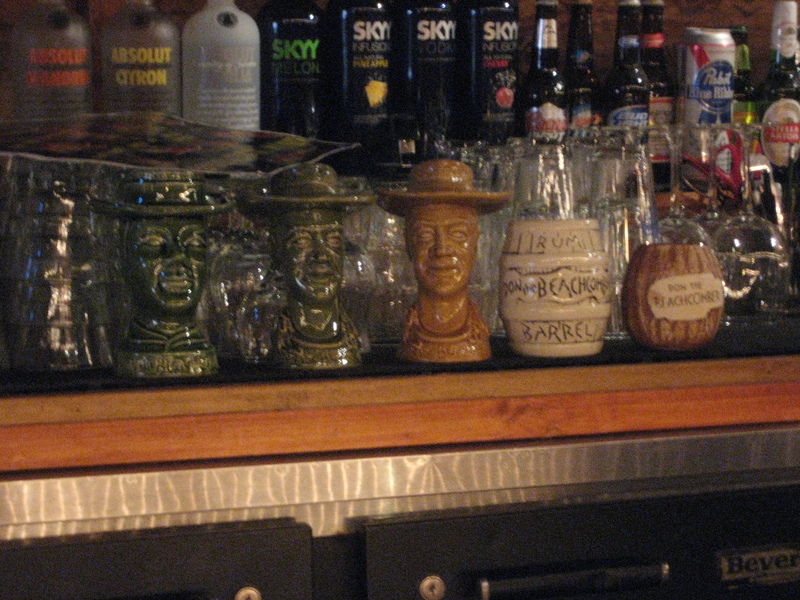 From left: green Don the Beachcomber “short neck” (they also have it in brown), green & yellow versions of Don the Beachcomber “long neck” designed by Crazy Al, white rum barrel, and coconut mug. Love Don’s! Also a big fan of that brie quesadilla. Great write-up. Name a time and let’s make it happen. Don’s is the best. Eagerly waiting for them to have another one of their fantastic buffet/music events in the hidden paradise in the back room. Yeah, Tikiyaki Orchestra will be there on Nov. 5. That’s sure to be a big shindig! 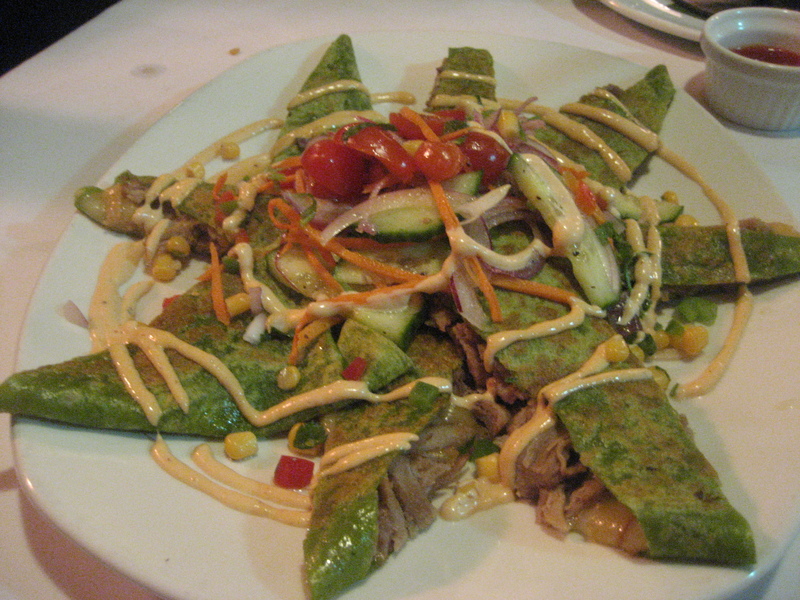 I finally made it to Don’s in August and really enjoyed it. Thanks for posting your visit and bringing me back! I had a few drinks. Wait recommended I try Don’s signature Mai Tai. 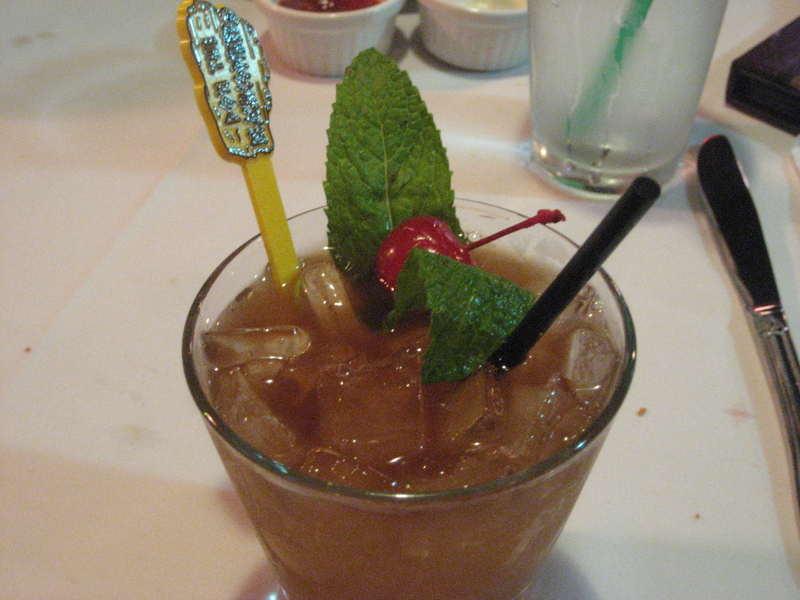 Not being a huge fan of TV’s or other mai tai’s I was skeptical, but, when in Rome… Turns out, Don’s mai tai is fantastic! How’d you think it compared to others, TikiChick? Seemed like there was a good cinnamon hit to Don’s that I really enjoyed. After (while?) drinking, oggling all the mugs in the cabinet in the Dagger Bar is alot of fun. Wish I was close enough to be a regular and put my own mug in there! Many would consider this blasphemy but I might also have to say I prefer Don’s Mai Tai. I seem to remember some ginger flavor? That would make sense if they make it like a variation of the QB Cooler. PS- which Don’s mug did you bring home? 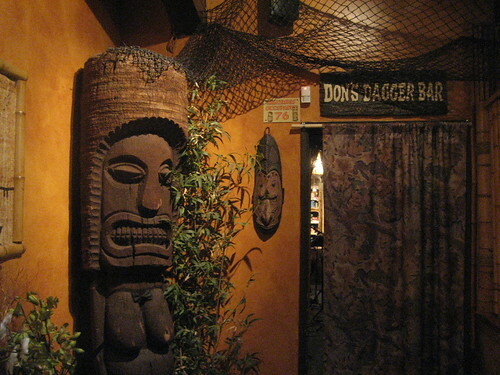 I visited Don’s in August, and went to the Dagger bar for happy hour. Unfortunately, my experience was a bit disappointing. Maybe I hit an of night. I ordered a rum barrel, and the bar tender told me they were out. I asked if they would be getting more in and he didn’t know. He also seemed to not really care. He didn’t seem to know how to make any of the drinks either. The quesadillas were really good though! I’ll have to give them another try sometime. Aww bummer. I know what you mean though. My first Don’s visit when they first reopened was less than stellar but I’m really glad we’ve gone back. Finky The Kid, Thanks for the explanation. I hope they can figure out a way to get more.